Division 2: Corkness in bother - but what of Meathness? Division 2: Corkness in bother - but what about Meathness? Division 2 is typically the home of minnows enjoying heady days or one-time superpowers fallen on hard times. The winter has seen much discussion of 'Corkness', a term which has now acquired official validity thanks to its inclusion in a football strategy document. The origin of the phrase is still in dispute. Kieran Shannon referenced the concept in the Irish Examiner in the wake of Cork's hammering at the hands of Galway in the 2015 All-Ireland hurling quarter-final (a match best known for Johnny Glynn's post-match interview). His colleague Larry Ryan took that concept and wrote what probably was the definitive thesis of Corkness a few days later. As representatives of the Dublin media, we are obviously extremely wary about wading into any debate on Corkness. Any attempt on our part to identify elements of the condition (probably can't call it that) will likely be met with stony-faced rebuttals from down south. And possibly a letter from the Cork consulate in Dublin. Do they have an embassy here? But it did strike us as odd that a discussion on Corkness was generated in the context of Gaelic football. Corkness - at least the proud and triumphalist variety of Corkness with which most of us are familiar - was always primarily associated with hurling. Cork football, even at the best of times, always gave off a slightly put-upon vibe. The disfavoured child, the idiot brother who was sent off to the priesthood. (It's worth remembering that the Cork footballers, endlessly maligned within their own county, have won the All-Ireland more recently than their hurlers). During the original article, Ryan noted that it may in fact have been 'Kildareness' which was decisive for Cork in the football in their glory days in the late 80s/early 90s. He quickly discarded that notion on the basis that no such state of mind has ever been defined. So, is Cork the only county with such a strong and decisive essence? Well not exactly. Ryan allowed that a thing called 'Kerryness', though he only referenced the condition offhandedly, was clearly a boon to any team of Gaelic footballers. But there's one other county in Division 2 which has arguably lost their essence entirely, that which made them once great. Meath, the county with probably the greatest claim to the title 'team of the 90s' (it was a fairly democratic era), have spent the last 12 years outside Division 1 of the National League. In that time, the county seems to have undergone an unfortunate personality transplant. The evidence of the last few years suggests that Meathness is dead and gone, it's with Sean Boylan, probably mislaid somewhere in his herbal remedies shop. Meathness stood for a kind of grim resolve, an infuriating stubborness. Meathness was winning the four-game saga with Dublin in 1991, despite toying with certain defeat for roughly 280 minutes of action. Meathness was both Kevin Foley's goal and David Beggy's winning point seconds later. Meathness was an unruffled Mick Lyons absentmindedly checking his jaw was still in place after receiving a haymaker in an All-Ireland final - before casually strolling back to his position. Meathness was that same Mick Lyons running alongside Keith Barr and putting him off enough for him to drive that penalty wide in '91. Meathness was winning the fight before winning the game. Meathness was trailing by seven points midway through the second half of an All-Ireland final against the people's darlings and somehow scraping a draw out of it. Meathness was equalising at the death in the same match thanks to one of the jammiest points ever scored in Croke Park. Meathness was emerging as the pantomime villains in the replay but returning home with the Cup all the same. Meathness was the other team's best player being sent off. Meathness was not giving a monkeys about any of that. Meathness was Joe Sheridan insisting he'd scored a perfect goal. Meathness was Joe Sheridan remarking in the next breath that even if the goal was a tad less than perfect, it was still a penalty in any event. Meathness was concealing a grin and ignoring the haters while the losers moaned and cried to the authorities in the aftermath. Meathness was being the GAA equivalent of Nick Faldo or Steffi Graf. The heartless automaton standing with eyes narrowed on the other side of the net while the neutrals' favourite crumbles under the pressure before our eyes. Meathness scorned moral victories and had to make do with actual victories. Meathness was not fearing the Dubs. Sadly, the last few championship seasons have been a complete repudiation of all those glorious things for which Meathness once stood. Rather than chasing teams down in Faldo-esque fashion, they are now the hunted. They infamously threw away massive leads in the Leinster championship against Wexford (2008) and Westmeath (2015). By the time of their championship exit in July 2016, Meath had gone nine successive championship matches without outscoring their opponents in the second half, a stat which would have been unthinkable in the Boylan era. 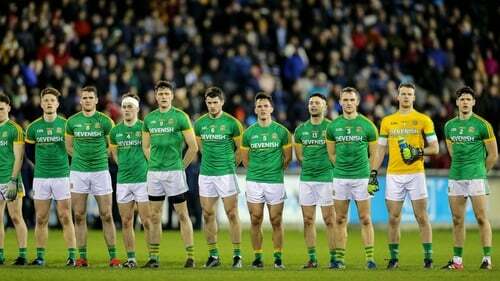 In 2017, some of their supporters seemed relatively content to lose by a narrow margin to Donegal in the qualifiers, the same Donegal team who were subsequently annihilated by Galway in the last-12. Last season, they were dumped out of Leinster by Longford, something which hadn't happened since the pre-Boylan era. Their season concluded with a moral victory against Tyrone, at the end of which they were seen berating the referee while the actual victors had it away down the tunnel. Truly, the antithesis of Meathness. As for not fearing the Dubs, I don't think we need go there. Wander around Ratoath or Ashbourne these days and you'll see more Dublin jerseys than Meath ones. It's a sorry state of affairs. The above will be dismissed as folksy nonsense. A brighter future, it's said, is dependent on humility and hard work, not by keying into some nebulous state of mind from times past. Perhaps, but if such self-indulgent navel gazing is good enough for Cork, why not Meath? This is a county with big resources and a grand tradition. Diligent analysts are checking hard for signs of life. Last year brought a first Leinster minor title in a decade. But you've to go back to 2001 for their most recent provincial title at U21 (now U20) level, a dismal stat for a county with their history. The league should be critical for them. They've occasionally rapped hard of Division 1, narrowly missing out on promotion in 2015 and 2017. A year in Division 1 can go either way. A spring of hammering after hammering can have a debilitating effect on confidence. However, if a team is able to survive, a la Galway in 2018, it could be the making of them. After so long in the second tier, Graham Reilly, Donal Keoghan, James McEntee et al must be curious to see how'd they live among the sharks of Division 1. It could be ugly or it could be the making of them. Player to watch: Jamie Clarke – The return of Clarke will be a welcome boost for the Orchardmen as they set their sights on successive promotions. Player to watch: Gordon Kelly – A regular in the Banner line-up since 2006, the Mlltown-Malbay clubman remains a key presence at the heart of the defence. Player to watch: Evan Comerford – A member of the All-Ireland minor team from 2011, Kilsheelan-Kilcash defender remains a vital part of the Tipp squad as they set out be a competitive in this tough division. Player to watch: Brian Hurley – After the injury-plagued run in recent seasons, the Castlehaven player is fit and ready from the off. An inside forward with much dash, the pressure will be on him and others to ensure Cork’s stock rises again. Player to watch: Jason McGee – After featuring in all of Donegal’s championship games in 2017, McGee concentrated on the U20 grade last year. How will he fare back in the senior fold? Player to watch: Che Cullen - An All Star nomination came his way on the back of some strong performances – contrary to reports he will be part of the Ernesiders charge in 2019. Player to watch: Jimmy Hyland - One of the stars of last season’s U20 triumph could make a real impact, despite his small stature. Player to watch: Padraic Harnan – The 2013 Meath Young player of the year is set to return to the Royals squad after a year travelling.